This week from the Create with Ronda Studio we are bringing you a new bundle! The Cookie Cutter Halloween from Stampin' Up! 's Holiday Catalog. I love Christmas, but I hesitate skipping over the beauty and fun of the Fall season! So this week you'll see a new bundle that coordinates with an awesome Christmas one that will be featured next week. We have LOTS of awesome projects to show you over the next few days, so be sure to come back! Today...I'm starting off with the Mummy. He's so cute! The bow is from the punch and can be used in the hair of any of your stamps, and instantly it becomes CUTE! It's pretty simple to just stamp in black and then punch out! No coloring necessary, or you can color him in with the Wink of Stella if you want a more gray sparkly look! Stitched with Cheer Wrap up! Our week featuring the Stitched with Cheer Bundle is coming to a close. I'm feeling awfully emotional...I think it's because my oldest son has officially moved 10 hours away, and today his fiance moved there with him. We weren't able to go help them because of the younger two being in school, but will get there as soon as we can. Andrew proposed to McKaylah just a week ago...we couldn't be happier! Not only is she beautiful on the outside, but I love her heart and soul even more. To wrap up this week I'm excited to show you another card using the Stitched with Cheer stamp set, This Christmas DSP, and the Very Vanilla Lace Trim. It's using the snowflake piece of paper and Basic Gray. Mix it with silver and you are in for a gorgeous treat! I love the variety of patterns in This Christmas Specialty paper. Did you know??? That this pack of paper actually has 24 sheets!! They are thinner but it gives you a much bigger quantity for the ability to mass produce those Christmas cards! Next week we will have a new bundle to bring you...it's time to take on Fall and Halloween! One set tackles both of them...I hope you love it! If you have an online order to place...I have goodies for you! 5 Free cards sent to you if your order is over 25.00 and if it happens to go over 50.00 then I'll include a FREE class for you! A 25.00 value! The Scenic Scenery Class! You'll get the pack of paper and supplies cut for 6 cards! Plus the tutorial and pictures to copy! Stiched with Cheer Part 3! This weeks bundle we're focusing on here in the Create with Ronda Studio is Stitched with Cheer. You can always scroll back a couple of days to see why I think it's one of my favorite kits ever! The stamp set is useful in so many ways! Today's card was designed by my assistant, Michelle Litwiller. Trust me...anything that has the words "fussy cut" in them....you know I didn't make it. I love that she brings a different style to my studio and what I can bring to all of you! It's featuring the bundle that I recommended on Monday...This Christmas DSP, and the beautiful Vanilla Lace Trim ribbon! Download the PDF here for a supply list, pictures and a few tips! This Stitched with Cheer project kit offers the perfect homemade touch to your Christmas cards. They look difficult but they are so simple and easy! I have to say this kit REALLY impressed me once I saw them in person. So much that I did a video for you and took close up pictures so you could see it too! BEST PART...this all comes in a 24.00 kit! You can purchase the stamp set to make them exactly like this...or substitute with your own Christmas stamp set. Look at page 34 of your Holiday Catalog. They each come with six Kraft envelopes that are lined to match! Don't forget September's ordering special...I have goodies for you! 5 Free cards sent to you if your order is over 25.00 and if it happens to go over 50.00 then I'll include a FREE class for you! A 25.00 value! The Scenic Scenery Class! You'll get the pack of paper and supplies cut for 6 cards! Plus the tutorial and pictures to copy! This week from the Create with Ronda Studio we are bringing you a new bundle to focus on this week! Of course we'll work in some extras from the Holiday Catalog and Annual Catalog, but I'm excited about this stamp set and Project Kit. Stitched with Cheer Stamp set. Later in the week I will feature a project kit that you can do with it...but honestly this stamp set is a stand alone awesome product all by itself! ON SALE...Very Vanilla Lace Trim: 141672 7.00...order by September 14th and it's only 5.25! Stitched with Cheer Project kit:142012 24.00 (You will make 18 cards with envelopes!) I'll share with you pictures and a video tomorrow! This is my card for today to help inspire you! We have four different posts this week, so be sure to come back to see the rest! Remember if you have an online order to place...I have goodies for you! 5 Free cards sent to you if your order is over 25.00 and if it happens to go over 50.00 then I'll include a FREE class for you! A 25.00 value! The Scenic Scenery Class! You'll get the pack of paper and supplies cut for 6 cards! Plus the tutorial and pictures to copy! It's time to wrap up this adorable bundle! Look at this Decor item that Michelle Litwiller made! I'm so blessed to have her as my assistant in my office three days a week! She's smart...and she can stamp too!! That's just a little inspiration for you! Welcome to the Create with Ronda Studio! On August 1st I opened my doors to a brand new studio. I know most of us have our craft rooms in our house, but with 4 kids and not having a proper space, I rent a beautiful building to house my craft supplies and hold my classes! Wish you could be here to attend one! Just wanted to give you a little glimpse! Now back to the Bundle of the Week! Hang your Stocking! Today's card is a BEAUTIFUL one! It also uses the Christmas paper out of the Large idea Book and Catalog. (don't forget If you have an online order to place...I have goodies for you! 5 Free cards sent to you if your order is over 25.00 and if it happens to go over 50.00 then I'll include a FREE class for you! A 25.00 value! The Scenic Scenery Class! You'll get the pack of paper and supplies cut for 6 cards! Plus the tutorial and pictures to copy! Download a Tutorial with a supply list and some tips so you can make this card too! This week Michelle and I are working on the Hang your Stocking Bundle from Stampin' Up! 's new Holiday Catalog. We can't wait to show you what we've been working on all week long! It includes an awesome Framelit set and a Photopolymer stamp set with 19 stamps. Here is your card today with a PDF download for you with a supply list and a few tips! Don't you love how we turned the Hearth and Home window into a fireplace? 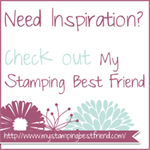 I love this adorable video by Stampin' Up! Showcasing products from the new Holiday Catalog! Over the course of the next few months, I plan to bring you a weekly bundle via this blog to showcase some of the amazing projects and products from the Holiday Catalog! Being Creative is so good for the soul! If you need to order products you can always click here and I'll be mailing you a surprise! Come out and stamp with me in my new studio! We have Live classes AND online classes! EMAIL me to RSVP to either of these two classes! You'll make 16 cards that night! 4 different designs, 4 of each! All-Occasion cards! Plus a sneak peek to the new Holiday Catalog! It's sure to be a night of fun and relaxation while I do all the work for you! Bring a friend and you BOTH get 5 free cards! I can't wait to stamp with you in my new studio! TWO online classes this month! These will come right to your door and you will get to create at home! ORDER HERE if you need some more crafting supplies...Don't we all! Can't wait to stamp with you! Creativity is GOOD for your soul!